With one of the largest networks in the industry, Aviation Search Group is a well-known aviation recruitment agency with a comprehensive understanding of airport operations, logistics, planning and finance. We work one-on-one with the airport authority, executive board members, commissioners and airport managers to develop executable recruiting strategies. The overall investment of money, time and training to bring on a new member of senior management is enormous, so it is important to get it right. When companies need an airport recruitment agency, they turn to Aviation Search Group. We are aviation industry experts who deliver candidates best suited to each of our client’s individual hiring needs. Utilizing the most expansive network in aviation and our proprietary three-phase search process, we deliver candidates that make sense for our clients. Aviation Search Group is focused on professionalism. We are a passionate and solution-driven team; a meticulous, detail-oriented firm that is committed to accuracy, honesty and transparency when delivering a candidate. Our entire staff holds themselves to a high personal and ethical standard. We continually strive to exceed both client and candidate expectations and our team is fully committed to providing the highest level of service. 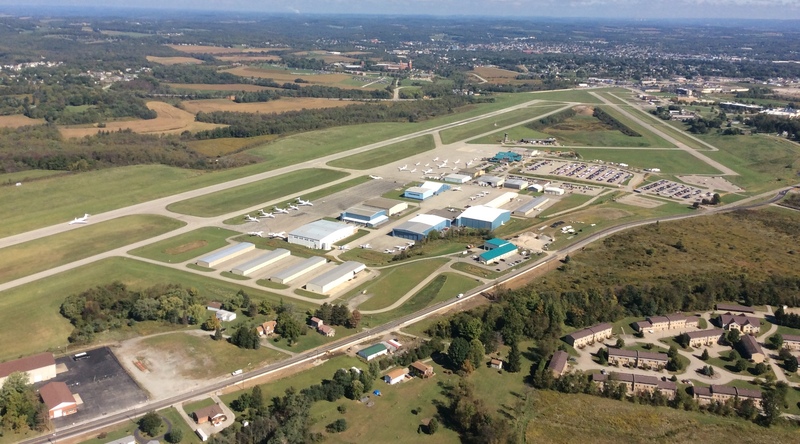 We are corporate members of NBAA, AAAE, HAI and our team also carries personal memberships with EAA and AOPA. The Executive Director is responsible for overseeing the administration, programs and strategic plan of the airport. The position reports directly to the Board of Directors. A member of upper management, the Director of Operations ensures that an airport’s everyday activities run smoothly and safely. These professionals often set parameters to judge how efficiently and effectively the airport is operating. The Director of Finance & Administration is a corporate officer primarily responsible for managing the financial risks of the airport. This officer is also responsible for financial planning and record-keeping, as well as financial reporting to higher management. These professionals typically report to the Chief Executive Officer and to the Board of Directors, and may additionally sit on the board. The Director of Planning & Programming works collaboratively with employees to manage a range of strategic organizational initiatives required to assure their airport is community-minded, customer-centered and business-driven. The Director of Commercial Services is a high-level executive tasked with the job of leading an airport through the commercial landscape. It is the job of a Commercial Director to help their airport maintain a consistent trajectory of growth while avoiding obstacles that arise from a constantly shifting market. The Director of Information Systems and Technology is responsible for strategic and managerial oversight of all facets of information systems and technological services within the airport. The Director of Business Development is responsible for seeking out new business opportunities for airports. They develop, coordinate and implement plans designed to increase existing business and capture new opportunities. The Public Information Officer is the communications coordinator or spokesperson of airports. Their primary responsibility is to provide information to the media and public as required by law and according to the standards of their profession. During crises and emergencies, PIOs are often identified by wearing helmets or vests with the letters “PIO” on them. The Executive Assistant performs administrative duties for executive management. Responsibilities may include screening calls, managing calendars, making travel, meeting and event arrangements, preparing reports and financial data, training and supervising other support staff and customer relations. In need of an airport recruitment agency? Speak with us at (724) 547-7015 to learn more.